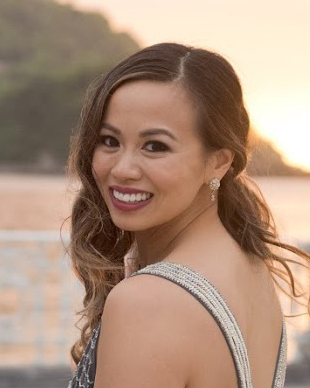 CLEAN 28, Week 2 Recap Part 2: SoulCycle and Lifting "Heavy"
In the second part of my week 2 cleanse recap, I wanted to tell you about my workouts of the week. My favorite part of doing the Clean cleanse is that I still have a ton of energy through the day, unlike straight up juice cleanses that leave me drained and useless. I can actually build muscle on this cleanse! SoulCycle w/ my SOUL sistas! Let's start off with workouts. I've been trying to do more non-spinning workouts since that's ALL I do. You guys who read this blog regularly know that I'm obsessed. And for those of you who haven't tried spin, here's 5 reasons why you should! 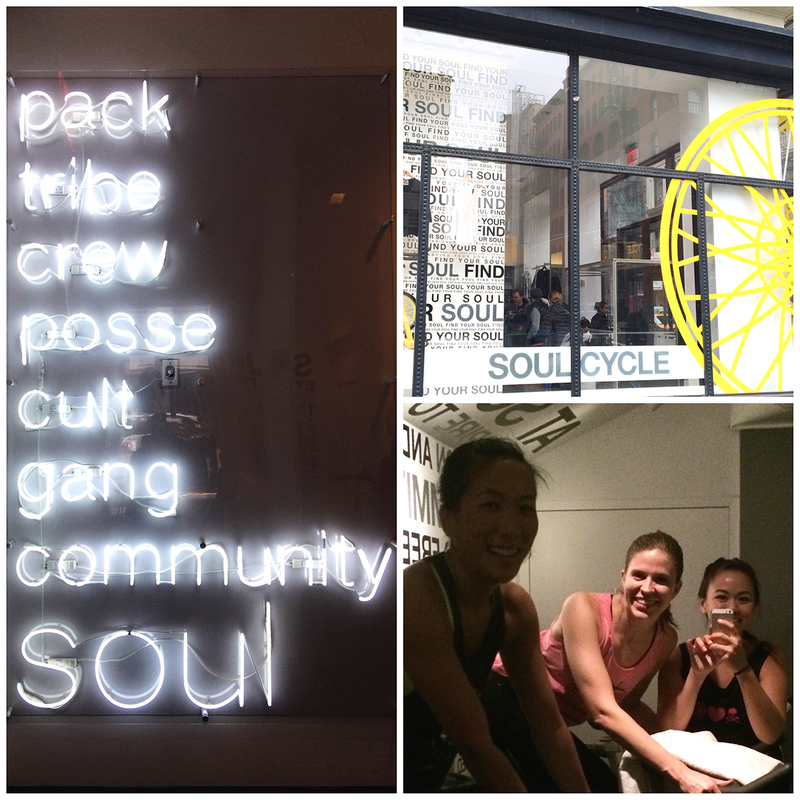 Earlier this year, I got really into SoulCycle because of my SOUL Sisters (lol, it's a thing!). For a month straight, we kept going because we were so addicted. Okay, so I know SoulCycle is still considered spinning, BUT unlike my regular spin class, they also have a 8-10 minute arm workout in the middle of spin class. And even though we're only using 2 lb weights, I started to see arm definition after just 1 month. That's insane guys, cause even though I was lifting 2lb weights for 10 minutes, 3 times a week for a month, my arm muscles GREW. That's how little they were lol. Anyway, I haven't been back to Soul for about half a year now since classes are SO expensive, but one of my soul sistas wanted to have us take a class with Akin so we finally gave it a go this week! I actually cancelled dinner plans in favor of going to Soul. I mean, dinner plans.... SoulCycle workout.... For Clean Cleanse Shelly, it's a no brainer. This brings me to the next part of my workout this week. I finally upgraded to using a barbell bench press rack! Let me tell you why this is so significant to me. So back in July, I started following BiteSizedArmy's 12 week weight lifting program. Her guides includes targeted workouts for your chest, legs, back, shoulders & arms - one part of the body per day. 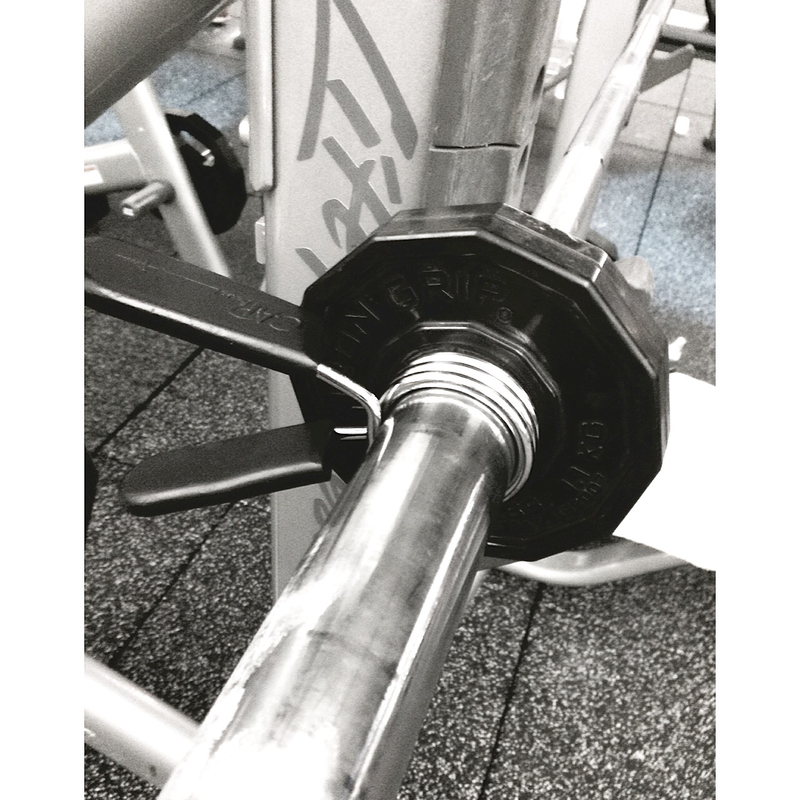 When I first started, we had to do barbell bench presses. Barbell Chest Press - 35# - OUCH!!!! No joke guys, I was weak, but I've been working my way up. So if you don't know, the barbell is actually 40 pounds on its own. That means to even lift at the barbell chest press rack, you'd have to be able to do 40 lbs at least, straight up. No way I was going to give that a try! BUT, after spin this week, I finally decided it was time for me to upgrade my fitness and challenge myself to use the rack. I've been lifting 40 pounds using the other stationary weights, so I knew that the barbell wasn't going to be too heavy for me anymore. So on this night, after doing a set with the empty barbell, I stacked on some 2.5 lb weights on each side. I got some sets in and couldn't feel more accomplished! I'm sure the guys who were around in the weight room was like, oh, that's it? But I could care less because it was SUCH a big moment for me. Having not been able to do a 35 lb bench press five months ago, I've moved up and was able to lift 45 lbs easily just made me feel like I'm finally getting somewhere. I know that there's always that moment of hesitation for girls to start lifting. First it's the fact that the weights area is dominated by guys, so it just feels a bit uncomfortable. Then there's hesitation because you really don't want to make a fool of yourself. It's hard not to feel self conscious when you're there, mirrors surrounding you. Then finally there's some stigma of not wanting to lift "heavy" because you'd get bulky instead of toned. Not that I'm saying 45 lbs is heavy (but damn it really is SO heavy! lol), but my bench pressing this weight has barely gotten me any muscles, let alone huge ones.... So NO worries ladies, you won't get bulky! Just work yourself up to the challenge. I'll tell you that at least I can carry bags of groceries from Trader Joe's for a mile without hurting now, and that's a feat in and of itself! But I digress, start small if you need to. In the past few months, I've seen guys who lift lighter weights than me (do you even lift bro? lol). But I pause, and tell myself to get the mean girl out of my head and just remember that I started at the same place. No judgement, and even if people are judging you, who cares? Just know that if you keep at it, in a few months, you'll be lifting heavier, and better. And instead of being the person who feels insecure, you can be a girl that other people look up to and think "Wow!" I want to do what she does! Not to get all GIRL POWER on you here, but seriously GIRL POWER! :) Who's with me on this? ?